Things start to close down in the Northeast in mid-October. Well, things like RV parks, state and county parks, and shops in some of the smaller. touristy areas of the country. 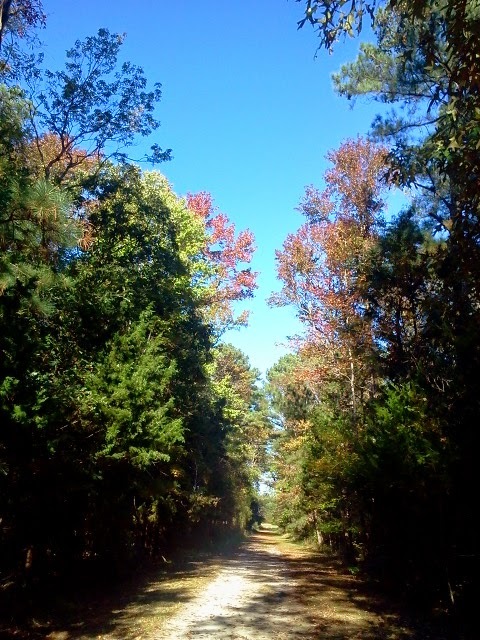 Once the leaves change and the nighttime freezing temperatures take hold it’s time to head south…fast. No one wants to get caught in a snowstorm, especially when one already has reservation in sunny Florida for the winter. Our view at Virginia Landing. And so the Mutiny was southern bound and in a hurry. It’s funny to think back to when we both worked fulltime and yet could cram in a vacation jam packed with every activity imaginable over the course of just a few days but here we were…not working, no real obligations to be anywhere in particular and freaking out that we only had a month to get to Florida. Four weeks. It’s a long time…but also seems so short when traveling via RV while trying to experience everything this country has to offer. The Mutiny overlooking the bay at Virginia Landing. Perfect for hiking and biking. Needless to say, we missed a lot of things but, true to form, we also had a lot of fun. 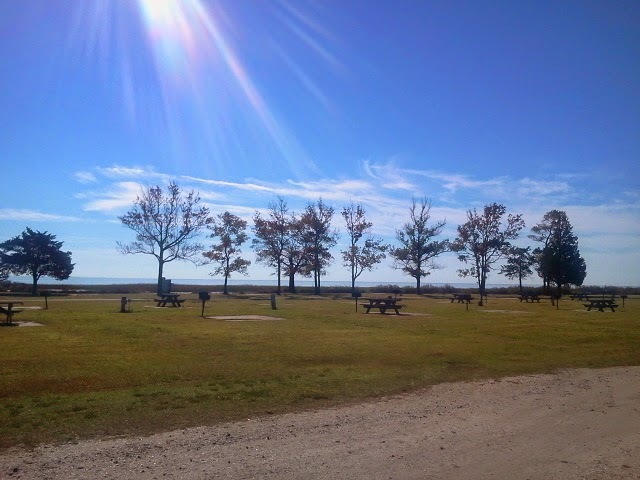 Most notably were a few stops along the coast, the first being Virginia Landing RV Resort. These little guys were all over the marshes, raising their one, gigantic claw in a terrifying manner trying to scare us off. This is a Thousands Trail/Encore park (which we are not members of) but we’ve found that many of these campgrounds also participate in the discount club Passport America (which I’m sure by now you know we love). What that means is that we were able to stay in a beautiful site with water views and no one around us (miles from traffic, lights and noise) for about $18 per night (with full hookups). The park was immaculate, the staff was super friendly and the clubhouse was open and at our dispose. And you better believe we took advantage of the ping pong tables. 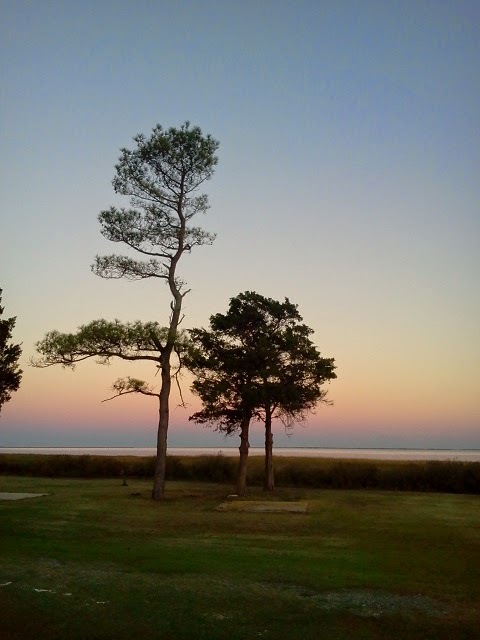 The park offers everything…swimming, fishing, clamming, boating, hiking trails, a clubhouse full of table games, a very nice children’s park, a swimming pool, showers, laundry and wifi all on about 800 acres. What it doesn’t offer is any kind of town near by. It’s very far off the beaten path and you’d be smart to stock up before you arrive. Going to town for groceries will likely take a full tank of gas and your entire day. Monday Night Football Mutiny style. Plenty of places to ride our bikes. Lots of empty waterfront sites…some of which were damaged by the hurricane at Virginia Landing. 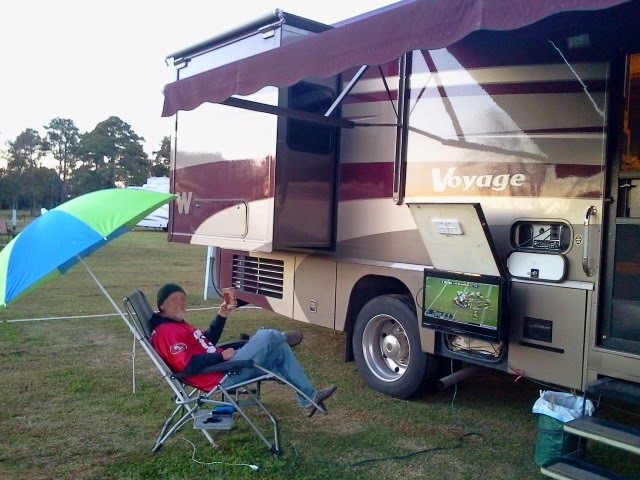 Another little gem we came across was North River Campground in Shawboro, N.C. It seemed that we were on a roll with secluded, off-the-beaten-path places to stay and, truth be told, Clark really wanted to do more fishing. As for me, well, I’ve been called a hermit before which doesn’t bother me all that much considering some of the other names people have used to describe me. 😉 I’m particularly happy when there aren’t a bunch of box stores, chain restaurants, and over-priced tourist traps luring us in with their shiny trinkets and deep fried (but delicious) devil food. I’m pretty simple…I like a good book and a place to do yoga…and maybe some fresh produce. 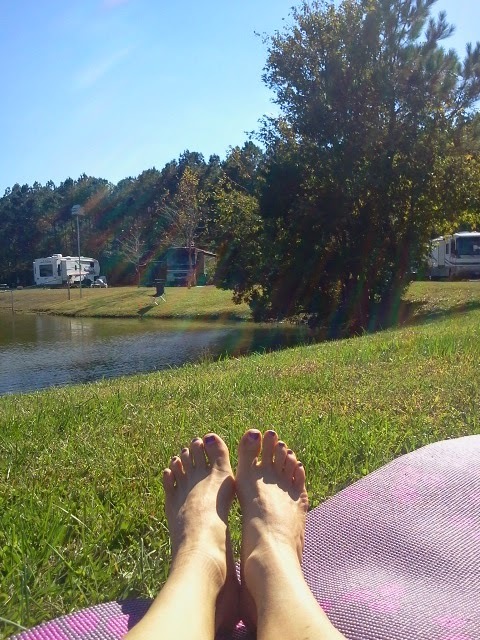 Me on my yoga mat and the Mutiny in the background at North River Campground. It doesn’t look like we’re going to fit. Always fun to have that thought flash through your mind when traveling 55 MPH. 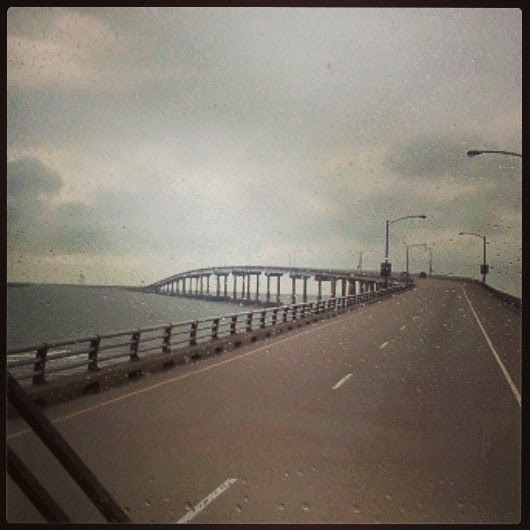 Crossing the Chesapeake Bay Bridge. For future reference, we fit (we need 12 feet 9 inches of clearance). 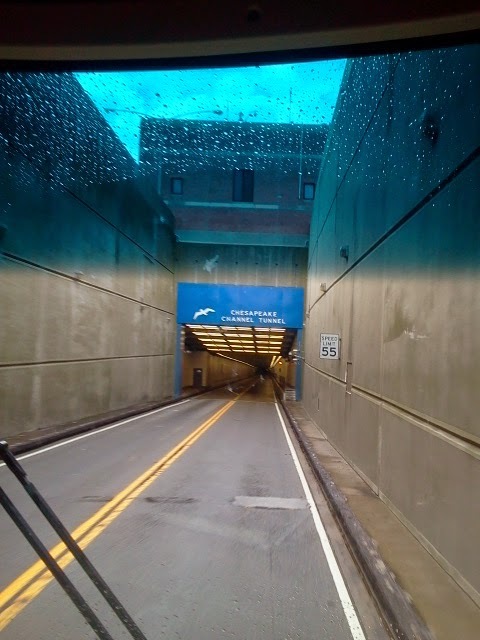 But it was still a little white knuckle through the tunnel. 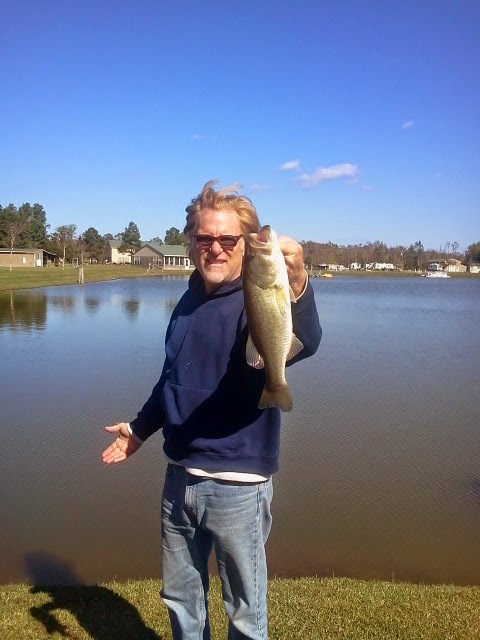 We only spent two nights at North River Campground but Clark took full advantage of the fishing in their stocked pond. 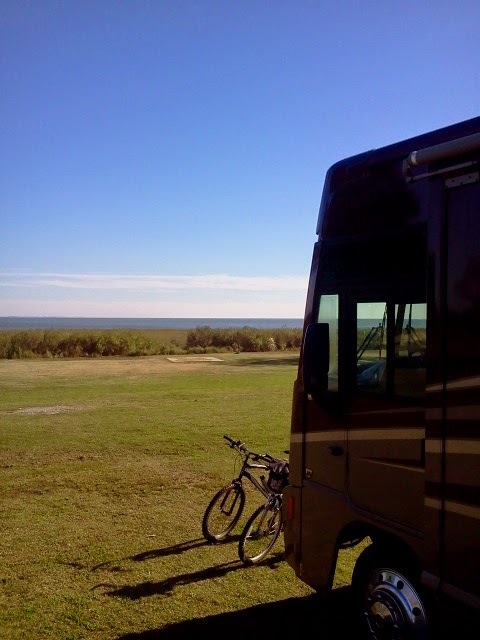 All of the RV sites are waterfront and huge. With the Passport America discount our stay, with full hookups and 50 amp service (and free fishing), was $21 per night. Not bad for waterfront camping in a very expensive part of the country. He ain’t just fishin’…he’s catchin’!! These are two very nice but out-of-the-way campgrounds that may or may not be your style. If you’re looking for privacy and a place to unplug from the hustle and bustle of life (while still having wifi) then they just might fit the bill. For us, we often need to get away from it all. Staying in towns and cities that have a lot to offer generally means we are spending quite a bit more money in an attempt to “do it all”. And while it is fun to go to the pub every night or coffee shop every morning, it can take it’s toll on our fixed monthly income. 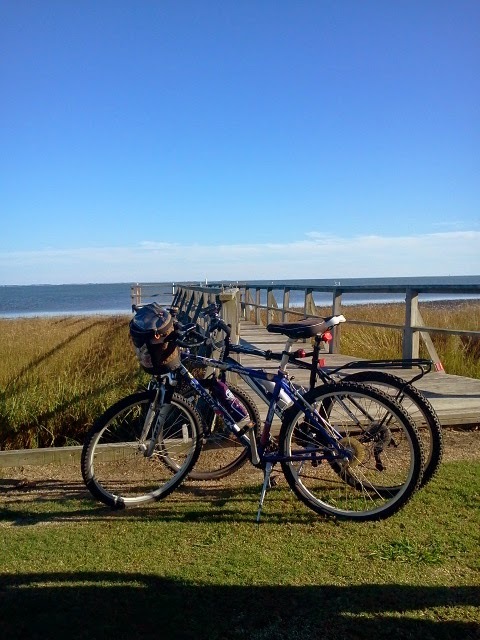 We skirted down the east coast, a traditionally expensive endeavor, on a tight budget utilizing Passport America campgrounds and eating out very little. Also, timing matters…these parks were virtually empty this time of year and they were happy to honor our Passport discount. Just getting the hang of posting comments. I can come off the job at 55 y.o.a but waiting till 59 for pension to go up. I'm following your blog and waiting for our day to come. Be safe going south and hope you avoid any bad weather.